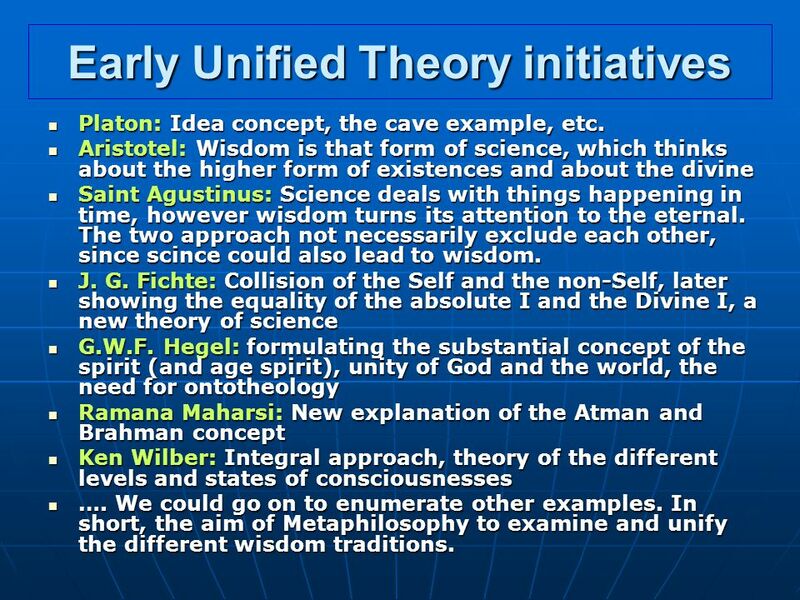 4 Early Unified Theory initiatives Platon: Idea concept, the cave example, etc. Platon: Idea concept, the cave example, etc. Aristotel: Wisdom is that form of science, which thinks about the higher form of existences and about the divine Aristotel: Wisdom is that form of science, which thinks about the higher form of existences and about the divine Saint Agustinus: Science deals with things happening in time, however wisdom turns its attention to the eternal. 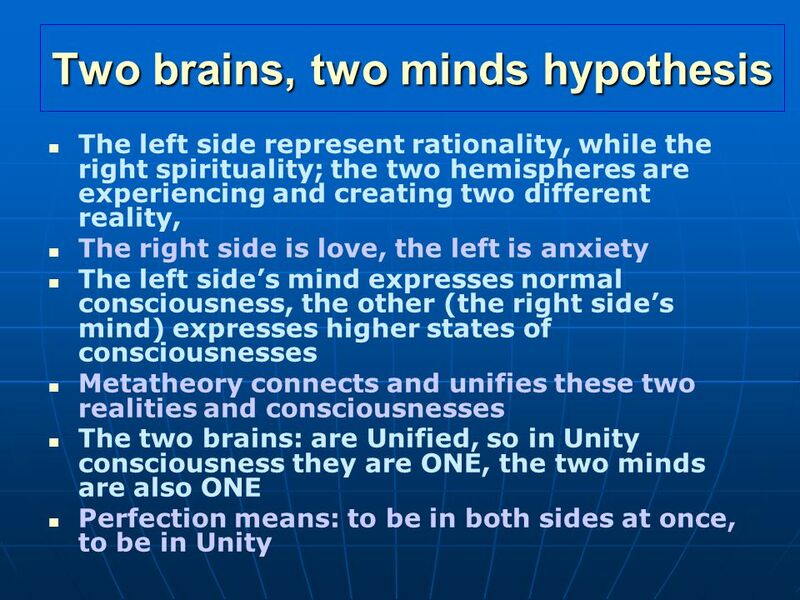 The two approach not necessarily exclude each other, since scince could also lead to wisdom. Saint Agustinus: Science deals with things happening in time, however wisdom turns its attention to the eternal. 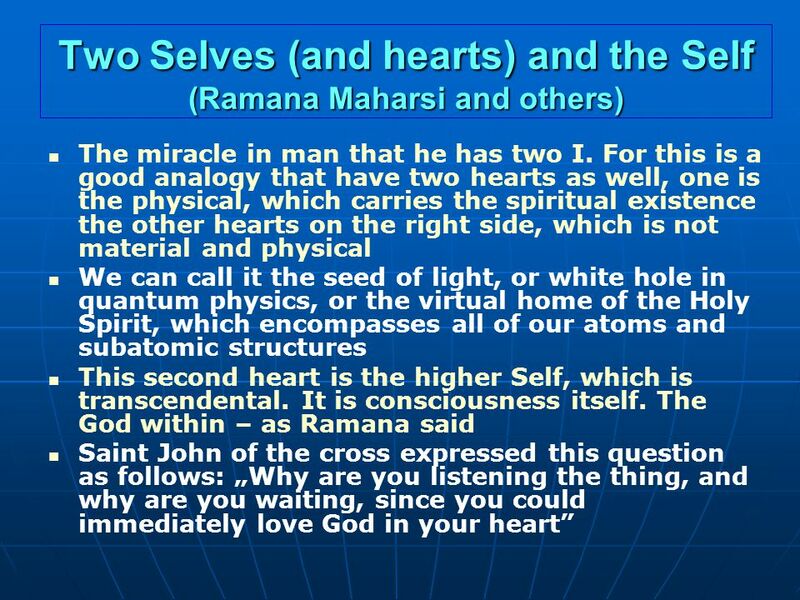 The two approach not necessarily exclude each other, since scince could also lead to wisdom. J. G. Fichte: Collision of the Self and the non-Self, later showing the equality of the absolute I and the Divine I, a new theory of science J. G. Fichte: Collision of the Self and the non-Self, later showing the equality of the absolute I and the Divine I, a new theory of science G.W.F. 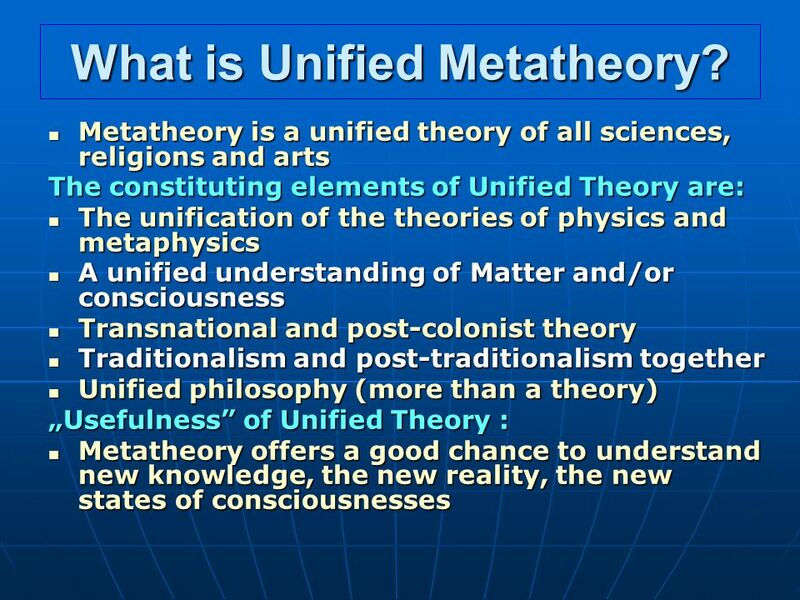 Hegel: formulating the substantial concept of the spirit (and age spirit), unity of God and the world, the need for ontotheology G.W.F. 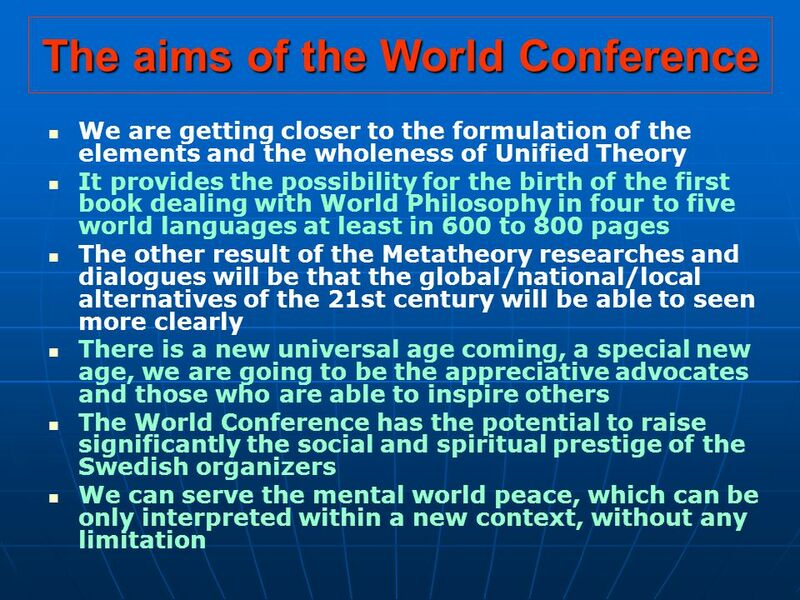 Hegel: formulating the substantial concept of the spirit (and age spirit), unity of God and the world, the need for ontotheology Ramana Maharsi: New explanation of the Atman and Brahman concept Ramana Maharsi: New explanation of the Atman and Brahman concept Ken Wilber: Integral approach, theory of the different levels and states of consciousnesses Ken Wilber: Integral approach, theory of the different levels and states of consciousnesses …. We could go on to enumerate other examples. 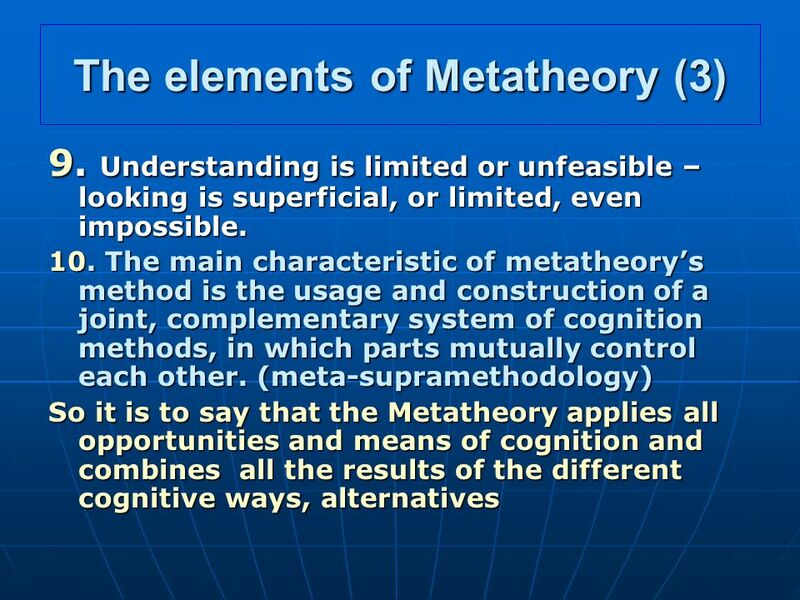 In short, the aim of Metaphilosophy to examine and unify the different wisdom traditions. …. We could go on to enumerate other examples. 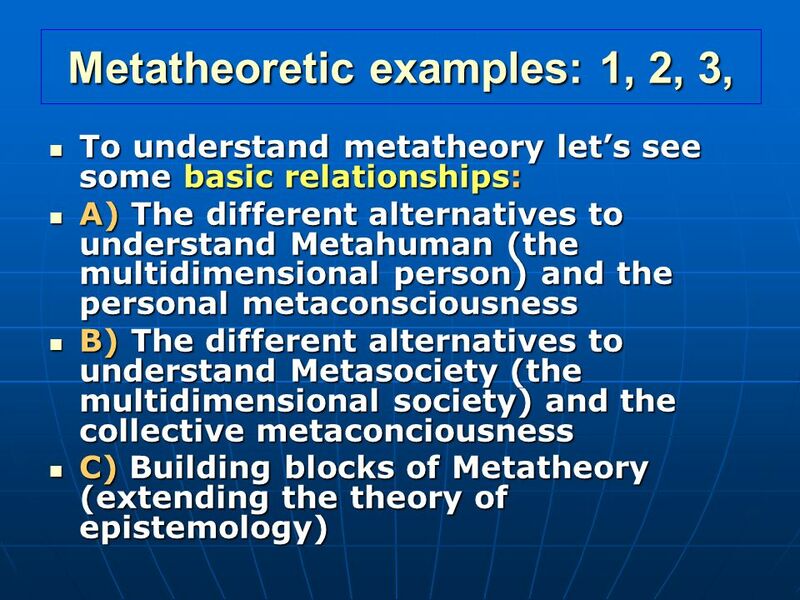 In short, the aim of Metaphilosophy to examine and unify the different wisdom traditions. 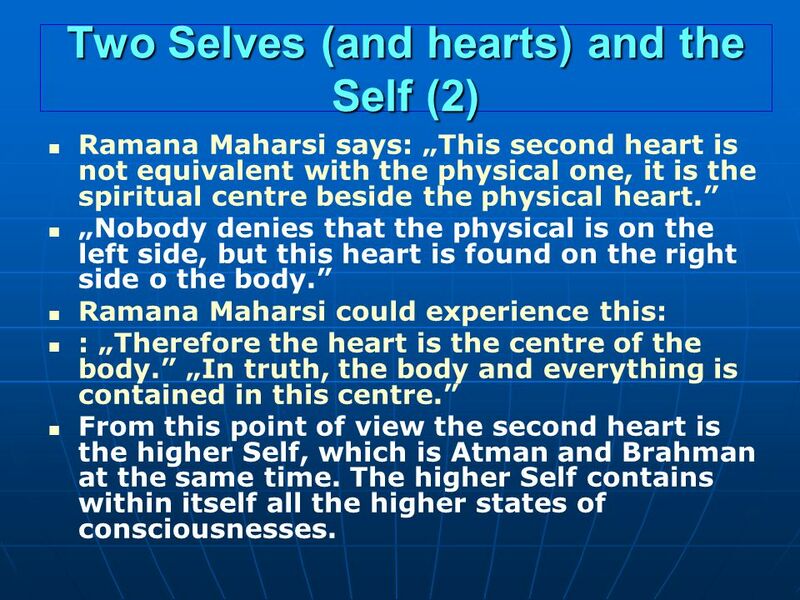 13 Two Selves (and hearts) and the Self (2) Ramana Maharsi says: „This second heart is not equivalent with the physical one, it is the spiritual centre beside the physical heart.” „Nobody denies that the physical is on the left side, but this heart is found on the right side o the body.” Ramana Maharsi could experience this: : „Therefore the heart is the centre of the body.” „In truth, the body and everything is contained in this centre.” From this point of view the second heart is the higher Self, which is Atman and Brahman at the same time. 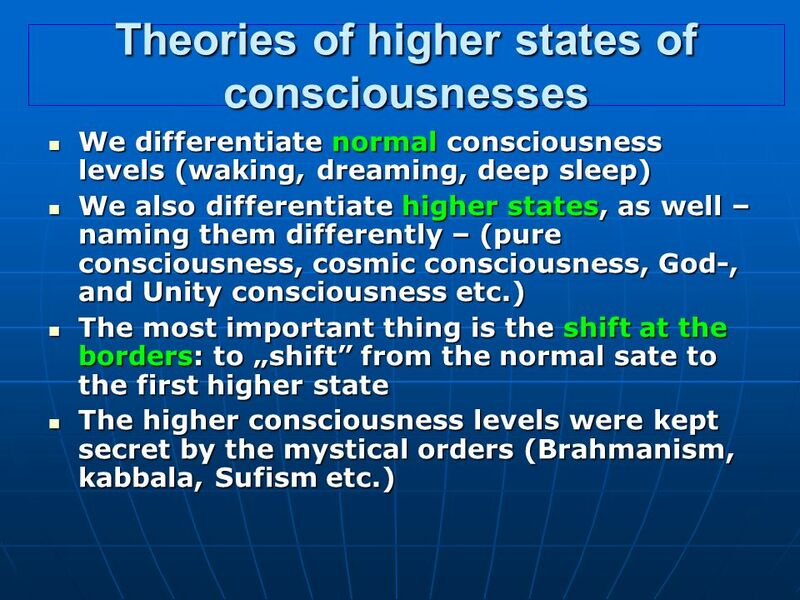 The higher Self contains within itself all the higher states of consciousnesses. 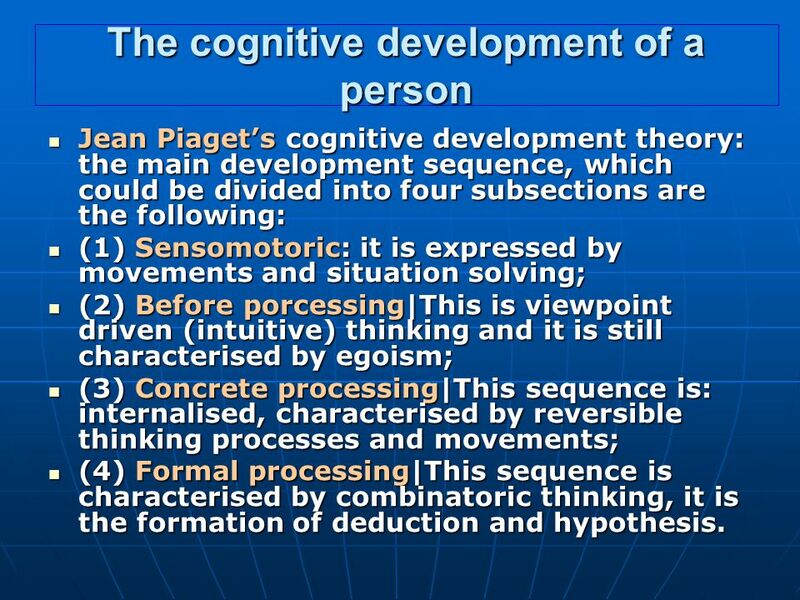 15 The cognitive development of a person Jean Piaget’s cognitive development theory: the main development sequence, which could be divided into four subsections are the following: Jean Piaget’s cognitive development theory: the main development sequence, which could be divided into four subsections are the following: (1) Sensomotoric: it is expressed by movements and situation solving; (1) Sensomotoric: it is expressed by movements and situation solving; (2) Before porcessing|This is viewpoint driven (intuitive) thinking and it is still characterised by egoism; (2) Before porcessing|This is viewpoint driven (intuitive) thinking and it is still characterised by egoism; (3) Concrete processing|This sequence is: internalised, characterised by reversible thinking processes and movements; (3) Concrete processing|This sequence is: internalised, characterised by reversible thinking processes and movements; (4) Formal processing|This sequence is characterised by combinatoric thinking, it is the formation of deduction and hypothesis. (4) Formal processing|This sequence is characterised by combinatoric thinking, it is the formation of deduction and hypothesis. 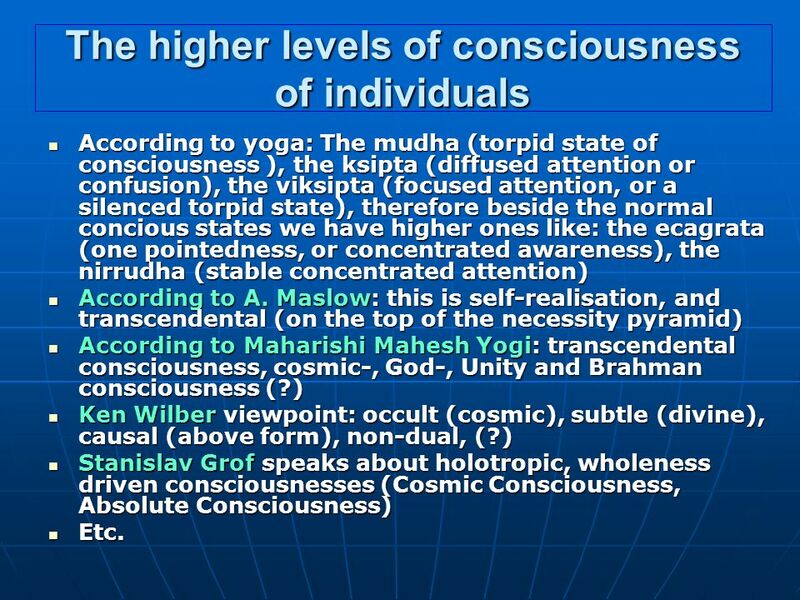 16 The higher levels of consciousness of individuals According to yoga: The mudha (torpid state of consciousness ), the ksipta (diffused attention or confusion), the viksipta (focused attention, or a silenced torpid state), therefore beside the normal concious states we have higher ones like: the ecagrata (one pointedness, or concentrated awareness), the nirrudha (stable concentrated attention) According to yoga: The mudha (torpid state of consciousness ), the ksipta (diffused attention or confusion), the viksipta (focused attention, or a silenced torpid state), therefore beside the normal concious states we have higher ones like: the ecagrata (one pointedness, or concentrated awareness), the nirrudha (stable concentrated attention) According to A. Maslow: this is self-realisation, and transcendental (on the top of the necessity pyramid) According to A. Maslow: this is self-realisation, and transcendental (on the top of the necessity pyramid) According to Maharishi Mahesh Yogi: transcendental consciousness, cosmic-, God-, Unity and Brahman consciousness (?) 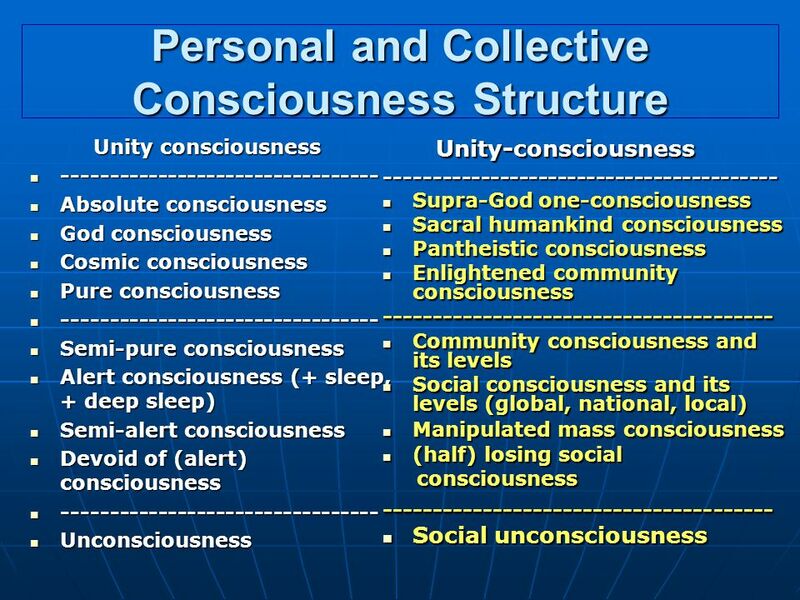 According to Maharishi Mahesh Yogi: transcendental consciousness, cosmic-, God-, Unity and Brahman consciousness (?) 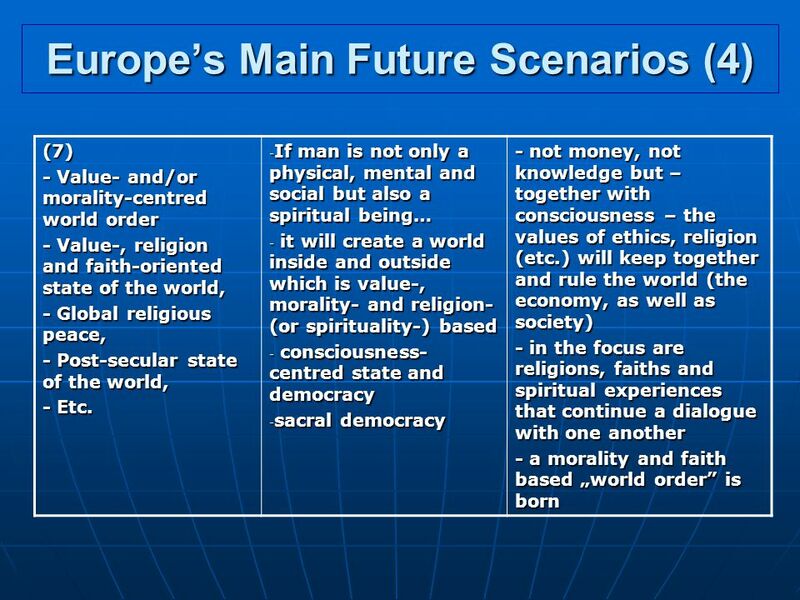 Ken Wilber viewpoint: occult (cosmic), subtle (divine), causal (above form), non-dual, (?) 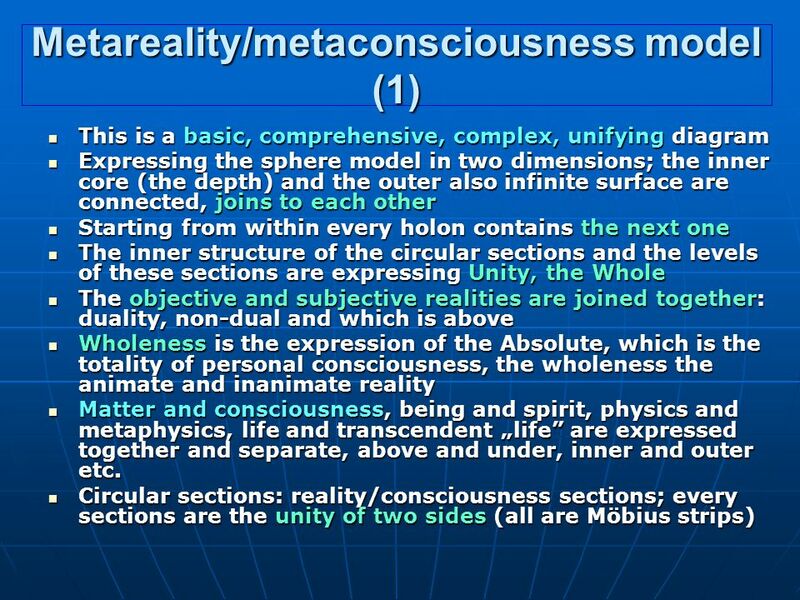 Ken Wilber viewpoint: occult (cosmic), subtle (divine), causal (above form), non-dual, (?) 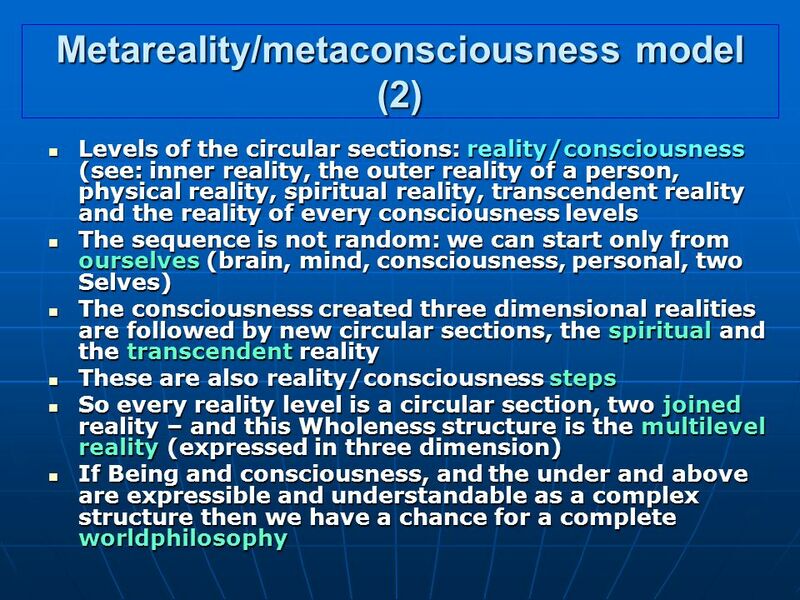 Stanislav Grof speaks about holotropic, wholeness driven consciousnesses (Cosmic Consciousness, Absolute Consciousness) Stanislav Grof speaks about holotropic, wholeness driven consciousnesses (Cosmic Consciousness, Absolute Consciousness) Etc. Etc. 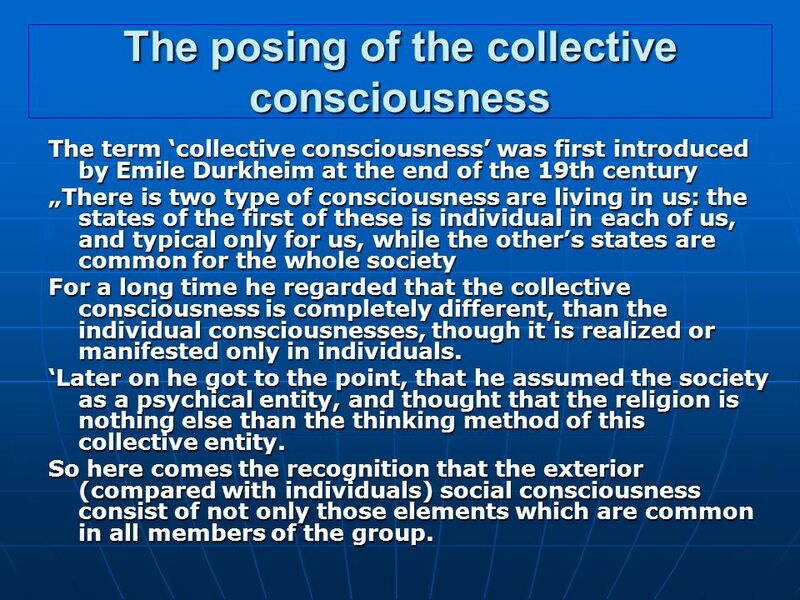 17 The posing of the collective consciousness The term ‘collective consciousness’ was first introduced by Emile Durkheim at the end of the 19th century „There is two type of consciousness are living in us: the states of the first of these is individual in each of us, and typical only for us, while the other’s states are common for the whole society For a long time he regarded that the collective consciousness is completely different, than the individual consciousnesses, though it is realized or manifested only in individuals. 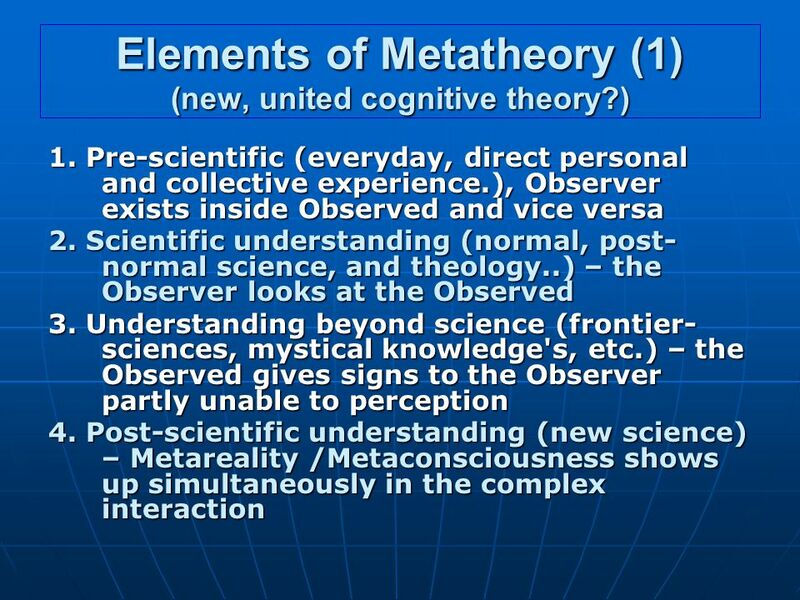 ‘Later on he got to the point, that he assumed the society as a psychical entity, and thought that the religion is nothing else than the thinking method of this collective entity. 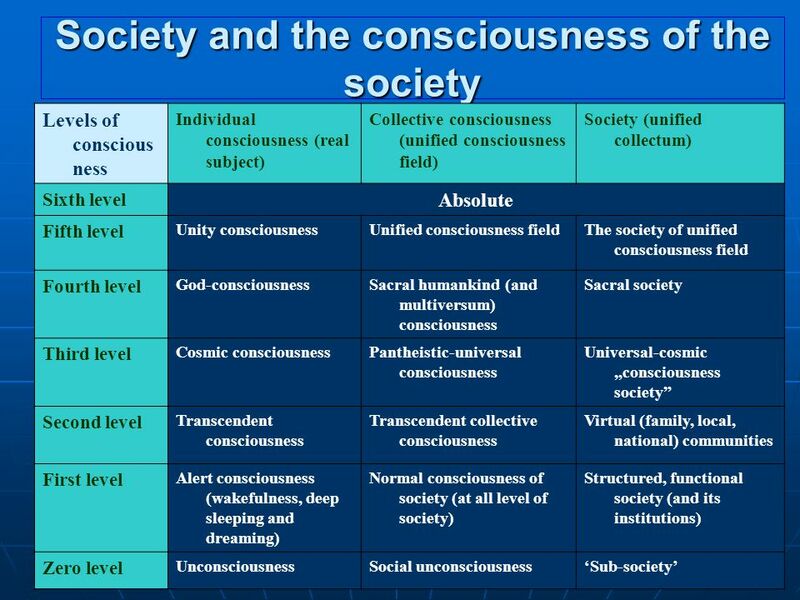 So here comes the recognition that the exterior (compared with individuals) social consciousness consist of not only those elements which are common in all members of the group. 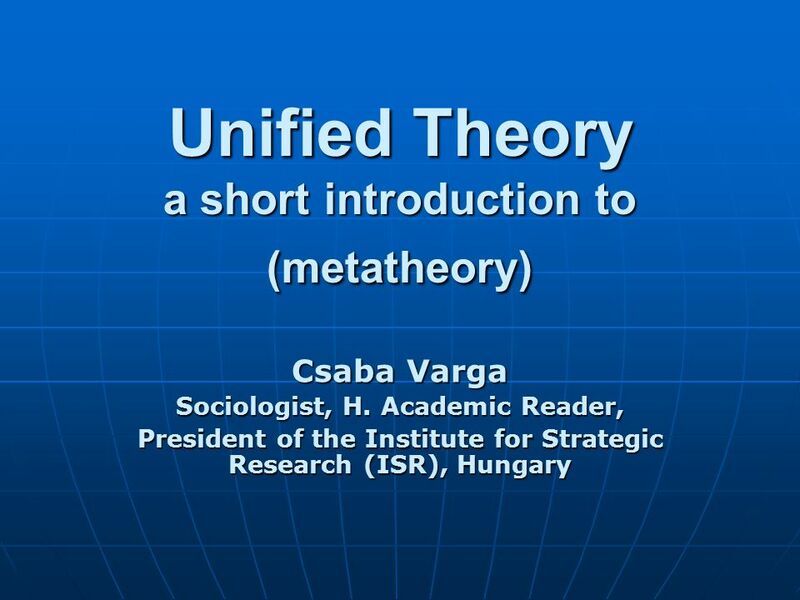 Download ppt "Unified Theory a short introduction to (metatheory) Csaba Varga Sociologist, H. Academic Reader, President of the Institute for Strategic Research (ISR),"
FIG President Univ.-Prof. Dr.-Ing. 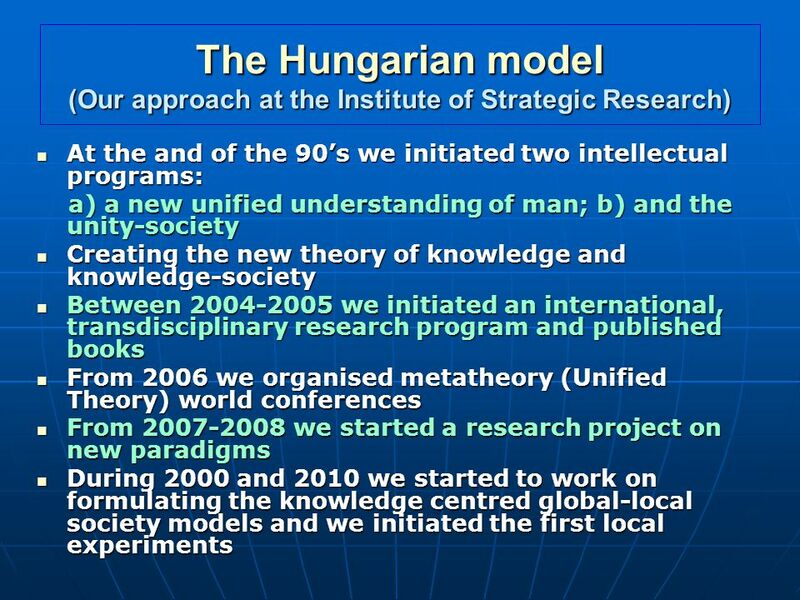 Holger Magel Speech at the Opening Ceremony Working Week 2003 Paris 13 April. 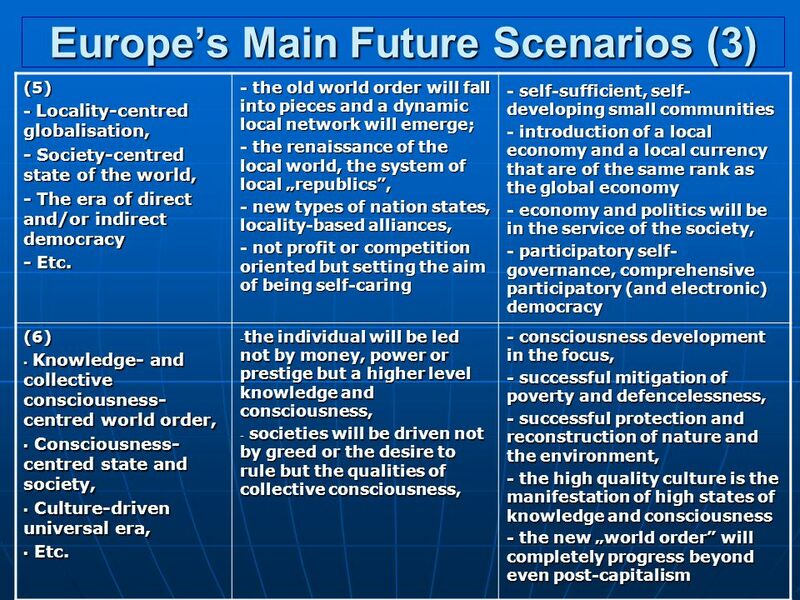 Risk Society An Overview. 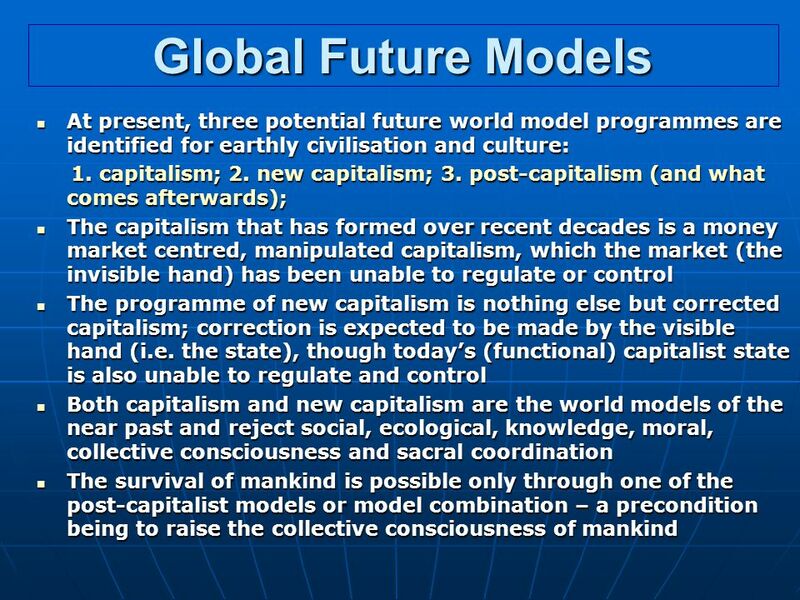 Introduction Both Risk Society and Governmentality are macro- oriented theories Cognitive science focuses on the micro level. Equality of Women and Men: Issues of the 21 st Century Sylvia Kaye University of Botswana. 1 UNEP– LEADERSHIP PROGRAMME 2005 – HUMAN DIMENSIONS – SCIENCE OF CREATIVE INTELLIGENCEby Prof. M. M. Mehta Maharishi Ayurveda Products Ltd.
 2004 Proutist Universal Proutist Economic Development Planning for Holistic Human Development Dada Maheshvarananda. 1 Foundations of Psychology Early Greek Philosophers – source of most of our western ideas Medicine – primarily early Greek and Roman involved a transition. SERVING YOUR BUSINESS & THE BUSINESS OF SERVING Entrepreneurship. 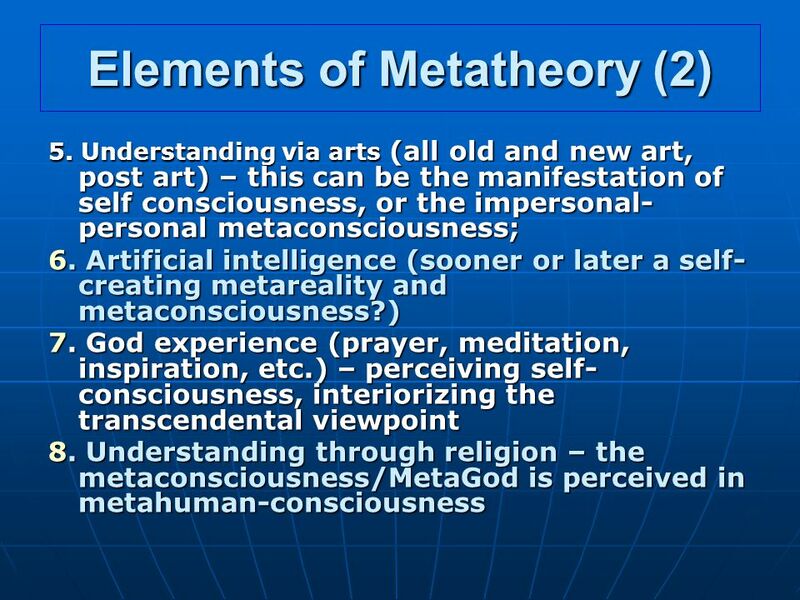 Introduction to Eastern Philosophy. Asking the Right Questions Philosophy is so interesting precisely because it is not about the right answers, but about. 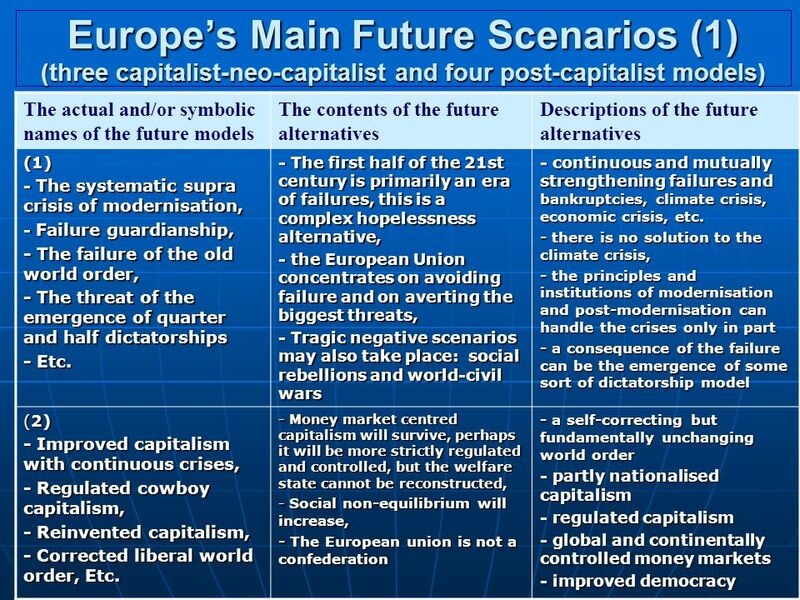 Chapter 2 Paradigms, Theory and Research. 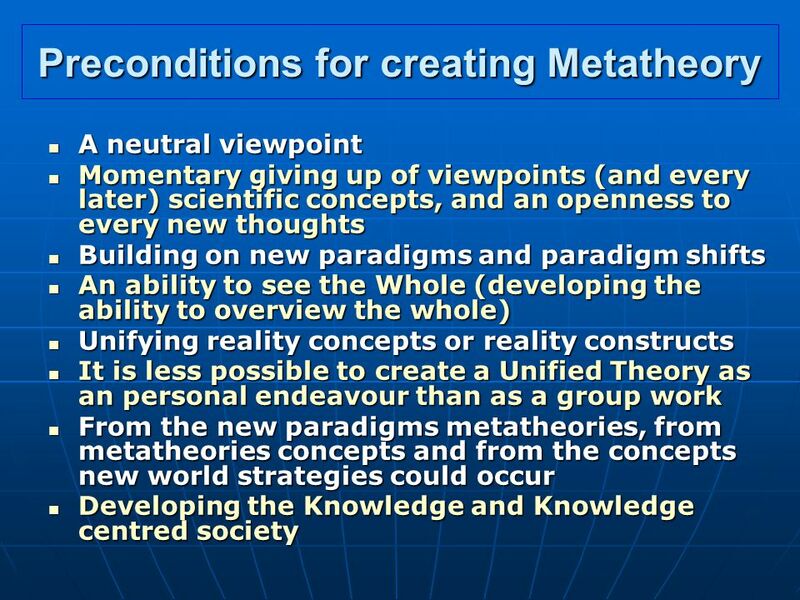 What is a paradigm? 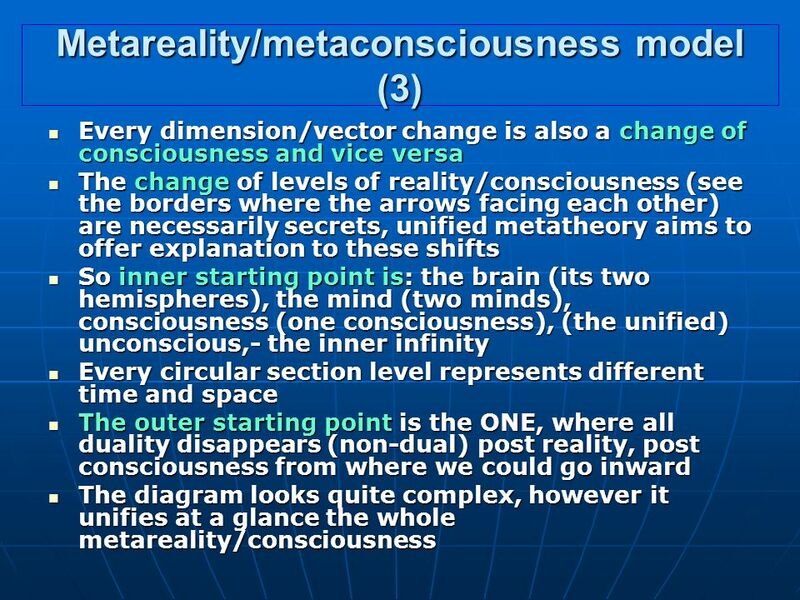 According to Burrell and Morgan (1979; 24), “To be located in a particular paradigm is to. 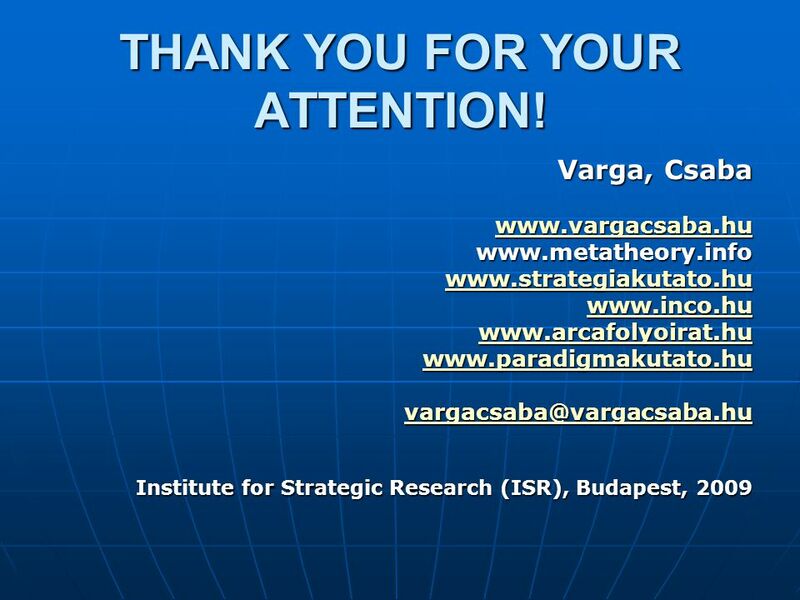 The Application of Metaphilosophy to Social Theory and Globalisation Varga Csaba / Csaba Varga Sociologist, H. Academic Reader Chairman of the Strategy. Chapter 14 RELIGION Made By: Nicole Borden Nicole Marino Quinn Johnson Maggie Isaac Ashley Rasmousen Mr. Schumacher /Period 3. Ways of Knowing Augsburg College NUR 306 Week One. 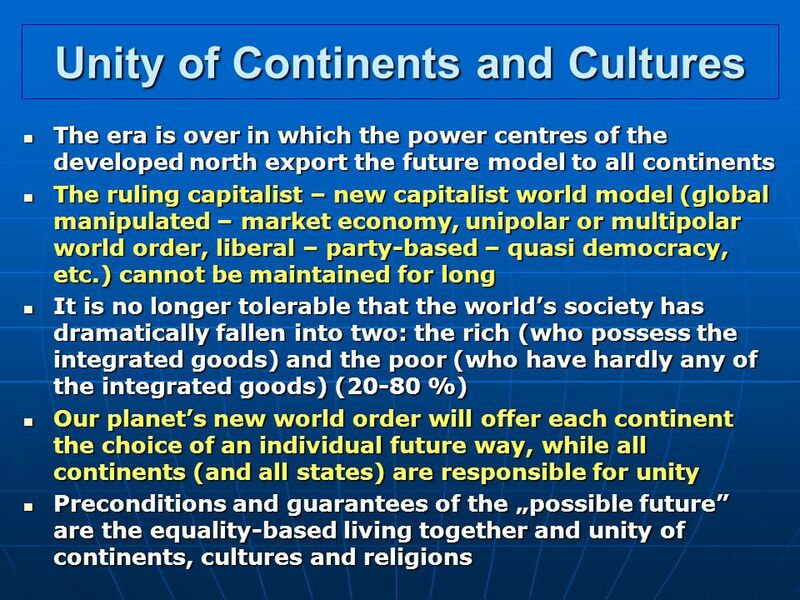 Sustainability Science. 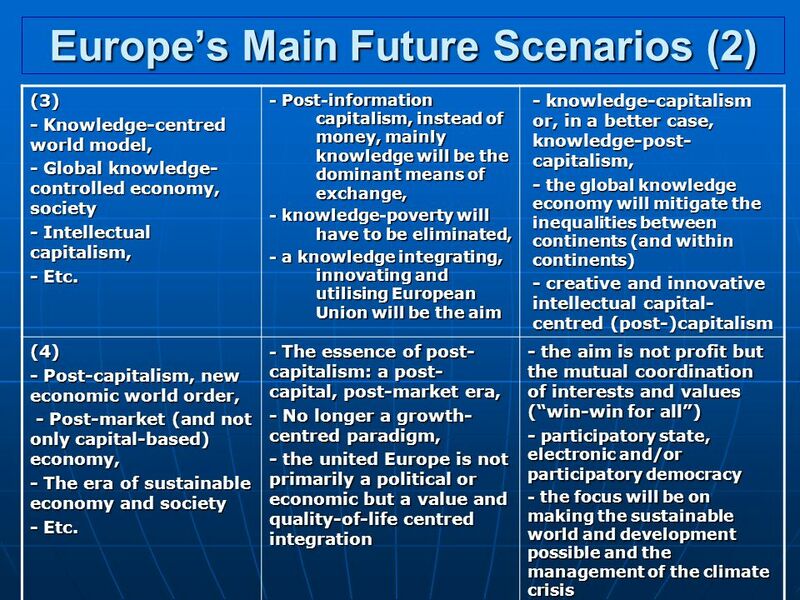 Sustainable Development or Sustainability. 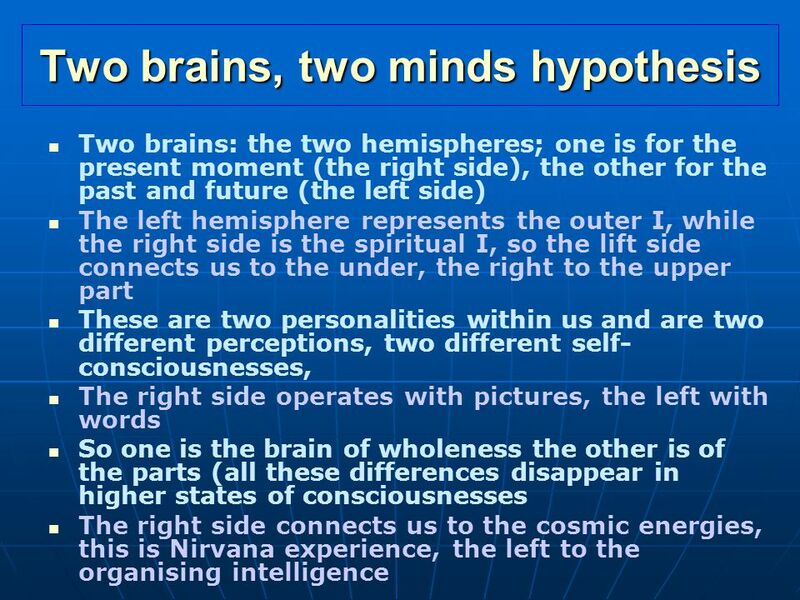 Prime Reality Pantheism/New Age Monism “The One” Monism “The One” Brahman has no attributes, indefinable Brahman has no attributes, indefinable New Age.